I really looked forward to reading this book, as I have been a fan of the author for a long time. The first book I read by Picoult was My Sister’s Keeper, and I immediately set forth to read everything she wrote. I love the plot twists, and the moral questions she makes you face with each story. Her novels never have a clear heroin/hero or villain, because, just like in real life, there are many sides to people, both good and bad. The Storyteller, follows this path, but is the most different of her novels. I found, sadly, that Picoult’s later novels began to fell formulaic, but not The Storyteller. The story begins with Sage Singer, a reclusive young woman, who hides herself and the scars on her face, in the kitchen of a bakery. She sleeps all day, bakes at night, and tries to interact with as few people as possible. She only ventures out socially to a grief group, where she continues to mourn the death of her mother. There she befriends Josef Weber, a ninety+ year old gentleman, and pillar of the community. They begin to talk and meet outside of the group, and a friendship forms. Everything is looking fine, until Josef asks Sage to kill him-confessing that he was a Nazi SS guard in a concentration camp. Horrified, Sage decides to alert the authorities, only to discover it is difficult to get anyone to notice. Eventually, she is referred to Leo Stein in the Department of Justice, who takes an interest in her case. At the same time, Sage begins to question her own grandmother, Minka, about the Holocaust. Sage has known Minka is a survivor, but refuses to discuss the past. Leo and Sage realize that Minka and Josef might share more than Sage, and beg Minka to tell her story. This is the point in the book that I became so caught up, I actually had to force myself to put it down for a break. The way Picoult tells Minka’s story, intertwining it with Josef’s, and Sage’s, is amazing. I have read many stories of the Holocaust, and the camps-including most recently The Lost Wife-which I loved. The Storyteller tell the tale from both the perspective of a young Jewish girl who goes from the Lodz Ghetto, to Auschwitz, and that of Josef, the Head Guard in charge of women at the camp. . We see Minka’s whole life before her-her studies, friends, love interest, and family-all be ripped away from her. When it can’t get any worse, it does. Through it all she survives. On the flip side, we see a young man pulled into the Nazi party and rise through the ranks. We watch the humanity drain from him. Josef shows us how someone can just stop feeling anything at all, will do anything just to get through each day. I do not want to give away the end of the story. I would definitely recommend this book. I’ve only read My Sister’s Keeper. Not sure I am ready for another gut-wrencher. I loved that book. This one is less about the moral choices. The story within the story- of Sag’s grandmother, and her survival, was pretty gripping. 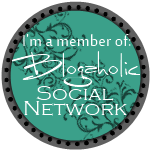 Just found your blog on Book Blogs and I’m now a proud new follower, do drop by mine @ Book a World too! Thanks Alicia! I am now following you too! Looking forward to reading your blog!